Who read the Fair Proclamation in 1960 and where was he? No 1, High Street has been a village shop for at least 200 years trading as Harraden, Redman, Fieldwick, Hoadleys, Cullens and Chestertons, until its recent conversion to a restaurant called The General. 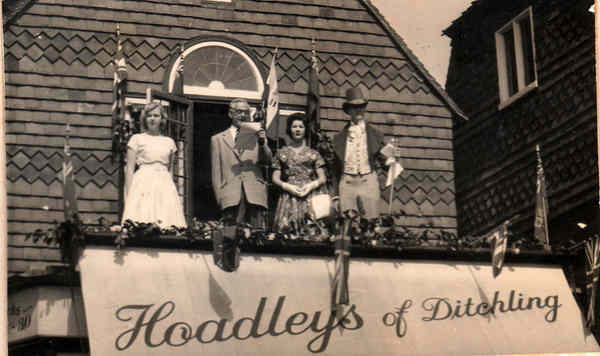 This photograph shows Nat Catchpole, Chairman of the Parish Council, reading the Fair Proclamation from the balcony in 1960.